Welcome to the New Naas Triathlon Club Website!!!! A massive big thank you to Ivan O’Connor for all his hard work in getting this project completed!!! Naas Tri Club Members: you can login using your old account name once you reset your password on this new website – Click on Lost your password to complete this task. You will receive an email quickly. From the received email, click on the first link contained within. Enter you basic details (must enter display name and first/last name if you want). Under “My account” within gravatar, select add image. Load your picture and give it a rating (hopefully not X rated but G rated!). Save and job done! You can add more emails and different pictures for each email of same picture for many emails! 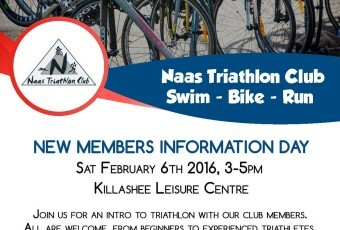 NAAS TRIATHLON CLUB is a triathlon club serving the Naas and Newbridge areas in County Kildare. We welcome all age groups, and aim to have a fun and enthusiastic time during training and competition. We also aim to encourage everyone to reach their best potential in the fastest growing sport in Europe.